Posted July 26, 2017 by K.C. 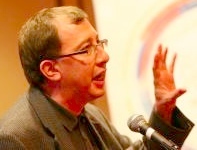 Hopson & filed under Event Rebels Blog, Meetings Technology, Resources Trade Show, Trade Show, What's New. As we have seen earlier in this series, we have been reviewing how event technology can be employed at various points in the lifecycle of an association’s annual conference. 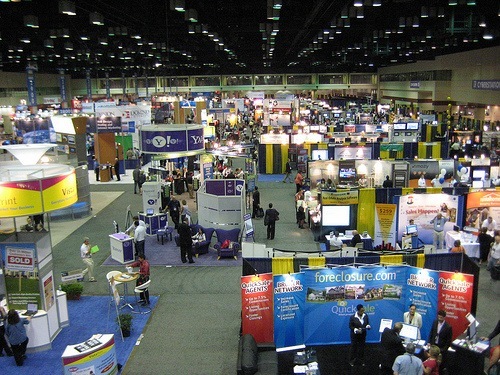 A key step in this process is opening your trade show sales. However, this is just the beginning of how great trade show and exhibitor management software can automate much of the work needed to handle your exhibitors and sponsors. Your event technology is probably lacking if you are unable to perform basic exhibitor management activities. Here are some of the essentials you should expect. View the status of your booth sales. Your administrative side of the trade show software should provide a way for you to quickly view sales via interactive screens and reports. You should be able to filter these results in a number of ways including sales status, type of booth (or sponsorship level), and payment. Update the map. Your booth configuration will probably change as the trade show approaches. You should be able to update your map layout with a graphical tool. It should also be simple to alter the fees associated with that booth. Exhibitor/Sponsor portal page. Exhibitors usually need to make frequent updates to their data. These changes include defining show marketing material, additional purchases (such as networking events), setting up exhibit hall staff, and access to resources such as the decorator. If your trade show software provides an automated way for the exhibitors to do this themselves, then much of the work of your exhibits manager is reduced. Setting Sponsorship Packages. Many sponsorships include much more than a booth. They often include additional show floor staffers, free networking event passes, and so forth. Your technology should make it easy to update the portal page so that sponsors can access these additional resources. Real-time Reports. All data from exhibitor marketing material to financial reports should be available thru real-time, easy-to-access reports. The output should be available in formats you can manipulate, such as Excel. You should also be able to create custom reports or even schedule automated reports to be sent to your stakeholders. Email communications. You should be able to send targeted, personalized Emails to the booth managers and their staff. If you can send invoices to exhibitors who have not paid in full with just a few clicks, then you have some great technology. For more information about using technology to optimize your next annual conference completely, contact EventRebels today!